Visitors to the "Through a Child’s Eyes Exhibit" will encounter an interpretation of a "typical" childhood in Sauk County during the period. Three major components, representing the most important aspects of childhood, are covered: school, work, and play. The exhibit showcases rare and irreplaceable artifacts underpinned by a framework of historical research—all of this is further augmented by the addition of fascinating personal vignettes and historic photographs of Sauk County residents. Because of Sauk County’s rural beginnings, a focus is given to the one-room country school experience. 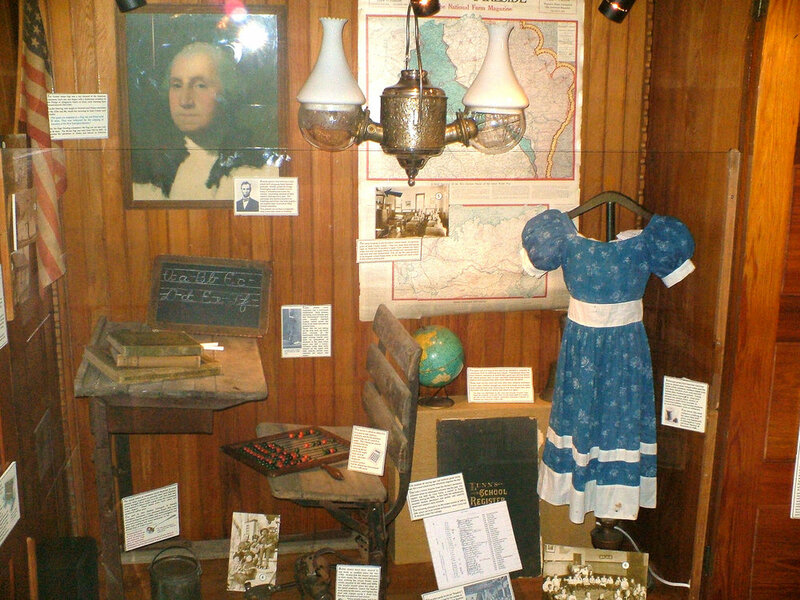 Museum guests here have the opportunity to view a reconstruction of such a classroom, complete with a well-worn wooden desk, dinner pail, slate, and even the ever-present George Washington portrait. Another portion of the exhibit highlights the ways in which work and play overlap. Both the young and the young at heart will enjoy the toys and other artifacts here displayed, including a set of lead soldiers, an early nineteenth century sampler, and building blocks used by a young Louis Claude.